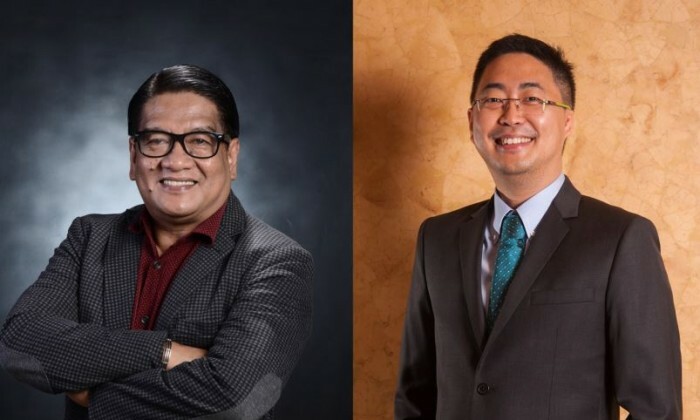 ABS-CBN communications consultant and spokesperson Ramon “Bong” Osorio and corporate communications officer-in-charge Kane Errol Choa were elected as presidents of the Public Relations Society of the Philippines (PRSP) and International Association of Business Communicators (IABC) Philippines, respectively. Osorio (left) is a respected media, advertising and PR practitioner, advocacy stalwart, marketing communications educator, and journalist rolled into one. Before joining ABS-CBN Corporation in 2007 where he recently retired as the head of its corporate communications division, Osorio served as president of Campaigns Advocacy and PR, Inc (CAPRI), the social marketing and below-the-line arm of Campaigns and Grey, for 18 years. He also chaired for 17 years the Communications Arts Department of UST, where he has taught for 30 years now. Meanwhile, during the IABC Philippines induction ceremony with Sen. Grace Poe as guest of honor recently, Choa (right) announced IABC Philippines’ line-up of projects, namely the Communication Excellence in Organization or CEO Excel Awards, the Philippine Quill Awards, the Philippine Student Quill Awards, the IABC Philippines Comm Chat learning series, the launch of its first electronic book compiling the best communication programs and practices, and a regional communications conference. IABC Philippines is the first IABC chapter outside the United States established 30 years ago. The organization upholds excellence in business communication through masterclasses and awards programs like the Philippine Quill Awards, the Philippine Student Quill Awards, and CEO Excel Awards. On the other hand, PRSP aims to advance the practice of public relations by encouraging continuing education of PR practitioners and is behind the annual PR Congress and Anvil Awards. Established in 2017, the delivery platform offers more choices to working professionals and brings more orders to partner restaura..